Drones, or unmanned aerial vehicles (UAVs), are all over the news and the national media is covering stories from military and commercial uses to related privacy concerns. Last week, Pinstripe’s public relations team worked with our commercial real estate client to illustrate how the firm is using the technology to market the properties it has available to lease and sell. 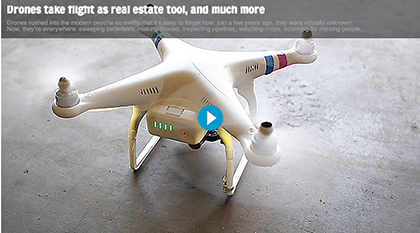 The UAV helps the brokers build marketing materials that go beyond photographs and floorplans. With video fly-throughs of warehouses, distribution centers and large offices, along with aerial footage of parking lots, adjacent buildings, road access and more, the footage gives potential buyers or lessees a better idea of the space before planning a visit. We were pleased to welcome journalists from ABC Action News, WTSP 10 News, and Tampa Bay Times.